Veneer Sheets are a great option for covering cabinet boxes to provide a coordinating look with cabinet doors, drawer fronts, and accessories. Decore-ative Specialties offers Paperbacked and Peel & Stick (PSA) options. Pressure Sensitive Adhesives (PSA) provide a permanent bond to any smooth substrate that is free of dust and contaminants, eliminating the steps for glue application. 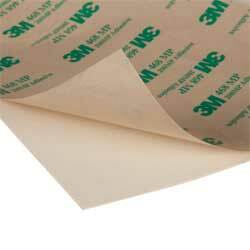 We use high quality 3M Brand Peel & Stick adhesives. 2-Ply Veneer (wood on wood, WOW) has perpendicular cross-grain, face to back construction allowing it to bend moderately in vertical and horizontal directions. Both options have 2 veneer layers. One offers a ready to apply Peel & Stick adhesive while the other is paperbacked and needs adhesive applied.